Our clients know what they need – an innovator that understands their challenges and is committed to reinventing a platform from the ground up – without compromises. Designing Sightline from the ground up allowed us to start with a fresh perspective and unencumbered by constraints. We worked closely with our clients to solve their greatest challenges around speed, efficiency, cost savings, technology adoption, insights and security. The result? A streamlined, intuitive solution that delivers outcomes not possible with any other application. 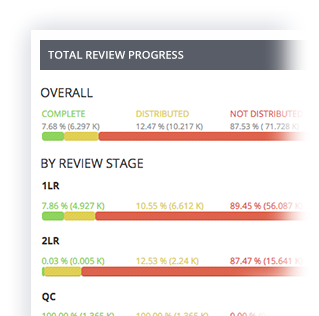 Early Case Exploration + Powerful Analytics + Complete Review. One Platform. Linear review or early case assessment? Investigation or contract review? Until now, users have had to choose between disparate, disconnected technologies based on the specific needs of the matter and the anticipated workflows. This division between platforms complicates workflows, introduces delays and frustrations while adding to a matter’s costs. 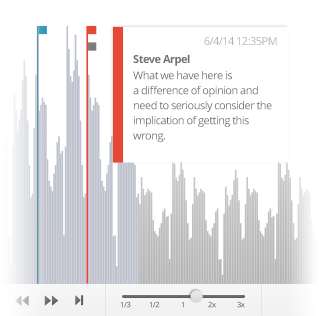 Sightline is different by design. By integrating ECA, a complete review experience and powerful analytics into a single, unified platform, you now only log in once to investigate, analyze, review and produce documents to support the full matter lifecycle. From personalized dashboards to customized, self-service reports, Sightline features in-the-moment visualizations that engage and tell the data’s story. To schedule a demo, please fill out the form below and a Consilio representative will contact you. It’s human nature; the faster you go, the more prone to mistakes you are. 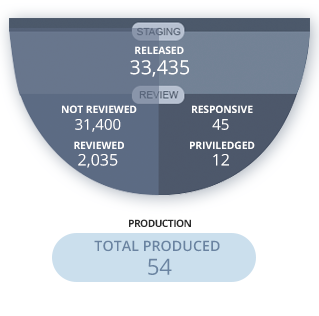 Sightline defies nature with tools designed to structure and execute reviews for efficiency, increase coding speed and reduce reviewer fatigue. The end result? Faster coding speeds without sacrificing coding quality. 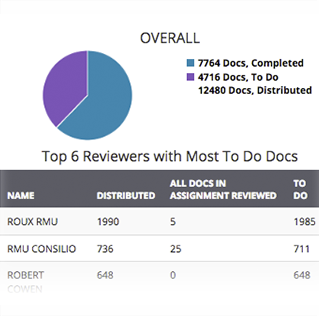 Review Managers define the Optimized Sort of documents so that reviewers spend less time bouncing between unrelated docs. Coding forms present decisions in a progressive, logical flow, instead of everything-at-once — reducing the time and mental burden of unnecessary coding decisions. Reviewers reach a higher “cruising altitude” with personalized one-click tools to reduce fatigue-inducing repetitive coding actions. 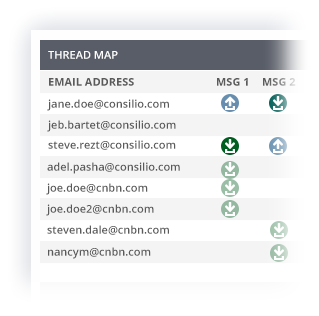 Reviewers can code entire families, email threads or textual near dupe groups as a unit, so consistent coding is applied to all selected documents instantaneously. 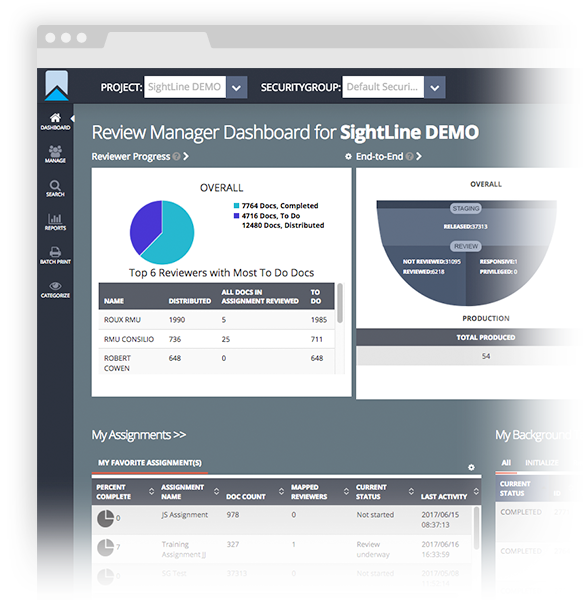 Request a demo of Sightline or discuss how to get started with a Consilio Sightline Solutions Expert.